Everyone knows sterling silver: very commonly used for the making of jewelry and silver flatware. However, sterling is not alone the world of silver. There are many alloys of silver, and one special class is Argentium silver. It shares similar properties with sterling silver and has some more. Many buyers come across it while shopping for jewelry, and mistake it for sterling silver or white gold. But what is Argentium silver? How does it compare to sterling silver? Is argentium silver better than white gold? You’ll find your answers and more in this post! Is Sterling Silver jewelry hypoallergenic? Is Sterling Silver nickel free? Is Argentium Silver nickel free? How to clean argentium silver jewelry? Should you choose Argentium Silver over Sterling Silver? 1. What is sterling silver? Silver, in its purest form, is beautiful, and we love it. However, unfortunately, it’s too soft for jewelry and silverware. It is not durable and can get easily scratched. We want to use silver, but it is too soft to be a durable silver item. How can we solve this problem? The answer is using an alloy of silver: a harder and more durable silver. Is sterling silver good for jewelry? Silver, which is a soft metal, is made into an alloy of other metals to create a harder metal. Sterling silver(SS) is an alloy of silver, which has 92, 5% silver and 7,5% other metal(s), which is generally copper. Thanks to sterling silver, silver becomes more usable in jewelry, silverware and silver tableware. A. Is sterling silver jewelry hypoallergenic? 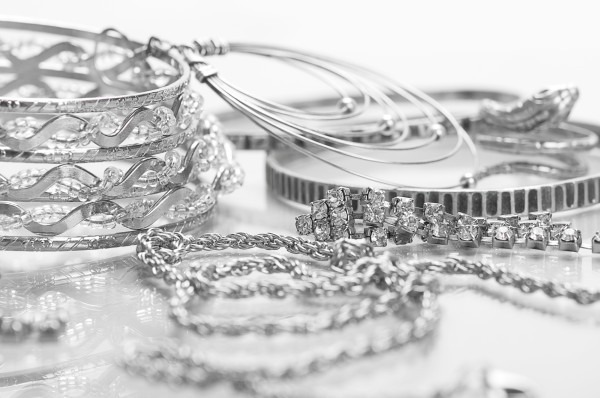 Because for the overwhelming majority cases, the culprit of jewelry allergies is nickel, if the metal used in the jewelry does not contain nickel, we may say the metal is hypoallergenic. The same goes for sterling silver: if it is nickel free, it is hypoallergenic. B. Does sterling silver tarnish? The presence of copper adds to the hardness of silver, but also makes it more prone to tarnish. Copper increases the tendency to react with oxygen, water and chemical agents. The results of these reactions are always the jewelry losing its shine and attractiveness. Thus SS demands additional maintenance so our jewelry can carry its lustrous look. For example, using a sterling silver bracelet, demands more caution to avoid contact with water and chemicals like deodorants and perfumes. Do we have to use sterling silver for jewelry? Can’t we find another silver alloy, which is harder and more tarnish resistant than sterling silver? And this brings us to the introduction of argentium silver: a better form of sterling silver. 2. What is Argentium Silver? Argentium sterling(AS) silver has a different composition than the traditional sterling silver while offering a similar look. Argentium silver includes germanium in the alloy making harder like copper but also less prone to tarnish. It is obtained by reducing the percentage of copper in the alloy and replacing it with germanium which less than 1% of the alloy. Two commonly used forms of AS are Argentium silver 935 and 960. Argentium sterling silver 935 contains 93.5% silver, while Argentium silver 960 has a silver percentage of 96%. This means that more silver can be used while maintaining the strength and integrity of the jewelry that is made from this alloy. A. Does argentium silver tarnish? Argentium silver was created at Middlesex University’s Art and Design Research Institute, School of Art & Design. The aim of the project was to obtain a better alloy of silver, which has been achieved in many ways including increasing resistance to tarnish. Tarnish is a problem we get with our sterling silver jewelry. With argentium silver we are not free from tarnish, but it is less of a problem. It will take much more time for AS to tarnish than SS. We must keep our jewelry away from water as much as possible. Sterling silver jewelry is not the best choice under shower or a day at the pool. Chemicals are also no good for sterling jewelry. You’d better take off your jewelry while house cleaning or refrain from using deodorants and perfumes after you put jewelry. Always make sure your jewelry is the last item you put on before going out. Argentium silver also has advantages over sterling silver for manufacturers. With AS, the manufacturers do not need to remove or plate over the firescale which makes it more durable with less work. Also the elimination of firescale considerably reduces production time. B. Is Argentium Silver nickel free? Yes, it is nickel free. No version of AS contains nickel. Thus Argentium silver is hypoallergenic. Is argentium good for jewelry? Argentium Silver is an alloy of silver richer in silver than sterling silver. It is also more resistant to tarnish. As Argentium Silver is nickel free, it is hypoallergenic. As a result, Argentium silver is an alloy of silver fine-tuned for superior qualities, which makes it a very good choice for jewelry. Sterling silver and argentium silver are very alike in many aspects. First, they are both alloys of silver, which are made to reach a harder material for daily use. Secondly, they share silver’s lustrous shine. Thirdly, both are sought-after jewelry material. Now, let’s look at the important differences between argentium silver and sterling silver. SS is nearly always 92,5% silver while if AS jewelry varies in percentage. Argentium silver offers a higher resistance to tarnish, which means jewelry made of AS, will be easier to take care of. No wants to get allergic reactions to the jewelry they wear. With AS, you can always be sure that the item does not include nickel. 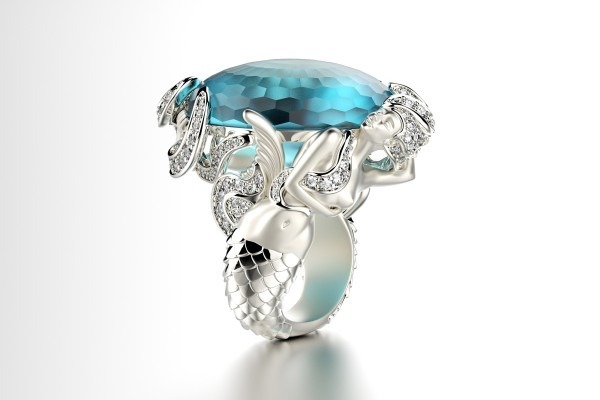 Whilst if you are considering SS jewelry, you should ask your jeweler if its nickel free. First, white gold is not argentium silver: there are different materials, which share similar looks. White gold is an alloy of gold with other metals such as palladium, silver, etc. As the metal type and percentages vary, the color of white gold is not uniform across all white gold jewelry. To reach a “silverish” white color, the alloy is many times coated with rhodium. Besides assuring the desired color, this plating also protects the white gold alloy inside. However, nonetheless, eventually time will show its effects, and the rhodium plating will wear out. When this happens to your white gold jewelry, you can consult with you local jeweler for a replating job which will restore your jewelry to its first-day blaze. 5. How to clean argentium silver jewelry? As said above, Argentium silver has a high tarnish resistance, thus its caring demands much less time than sterling silver. As usual, with silver jewelry, you should avoid contacting with water and chemicals. This includes preferring another jewelry such as stainless steel jewelry for a day at the beach. Furthermore, it is always a good practice to take off your jewelry when doing house cleaning or gardening. It any grease or dirt accumulates on the jewelry, wiping with a soft cloth should be sufficient. For stubborn dirt, a short dip in a lukewarm mild-soapy water and then cleaning with a piece of cloth should be enough. Don’t forget to make sure that the stones, if any, on the jewelry will not get damaged or dislocated because of heat, soap or rubbing. 6. Should you choose Argentium Silver over sterling silver? The probable answer is yes if it fits within your budget. Argentium silver is an improvement over traditional sterling silver that is most noticeable in terms of less tarnish. Moreover, the hardness of Argentium silver is roughly the same as the conventional version, so you are not sacrificing anything when selecting Argentium over the SS items. Keep in mind that apart from having less tarnish, you may not notice much of a difference between Argentium and SS. So, if you do not mind a little more maintenance, then the SS may be better if you can get it at a considerably lower price. Otherwise, Argentium silver is the right choice.